On the evening of February 9, a yearling Black Bear was admitted to the Wildlife Center as patient #19-0097. The female bear was found in a cornfield in Shenandoah County and was having a difficult time walking. Two DGIF biologists were able to contain the bear and transported her to the Wildlife Center. On January 25, a small female Black Bear yearling was admitted to the Wildlife Center from Bentonville, Virginia. The thin and lethargic bear was found on a private citizen’s porch the day before. 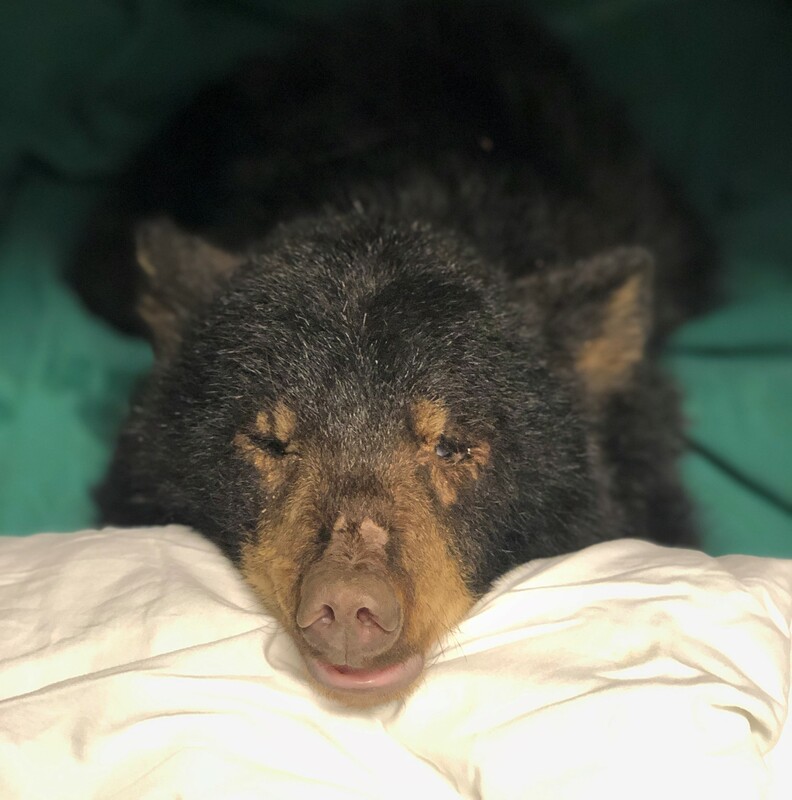 The Department of Game & Inland Fisheries arranged for the bear to spend the night at Blue Ridge Wildlife Center before she was transferred to the Center the next day. 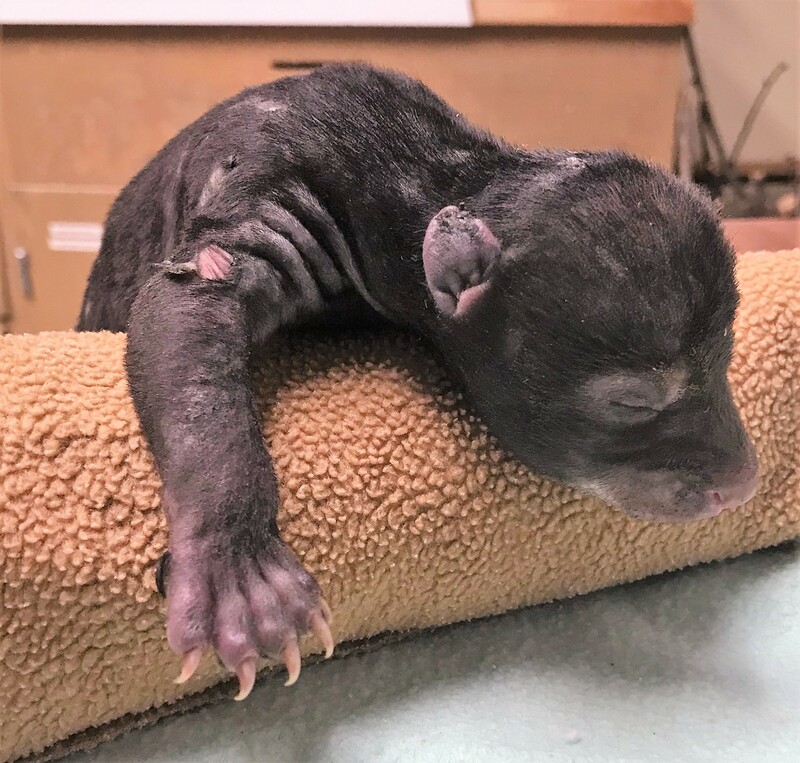 On October 28, the Wildlife Center admitted another Black Bear cub. The young bear was found in Winchester and was seen in someone’s yard eating cat food; the bear appeared small and thin and had wounds on its head and leg. Animal control officers were able to trap the bear; a biologist with the Department of Game & Inland Fisheries picked up the female cub and transported her to the Wildlife Center. Quinn came to the Center in May 2008 from the Roanoke area. He was found stuck in a fence and was admitted with injuries to both wings and his right eye. Center veterinarians determined that his eye would need to be removed, and Quinn’s flight feathers never grew in properly. Quinn passed away in April 2019. On the afternoon of March 2, a Northampton County resident reported seeing a juvenile Bald Eagle on the beach, laying on its back and unable to right itself, in the Savage Neck Dunes State Natural Area Preserve. After being located and rescued by a local permitted rehabilitator, the bird was transported to veterinary clinic in Yorktown, where the veterinary team diagnosed a humeral fracture in the eagle’s right wing. They bandaged the eagle’s right wing, and a volunteer transported the eagle to the Wildlife Center the next day for further care. 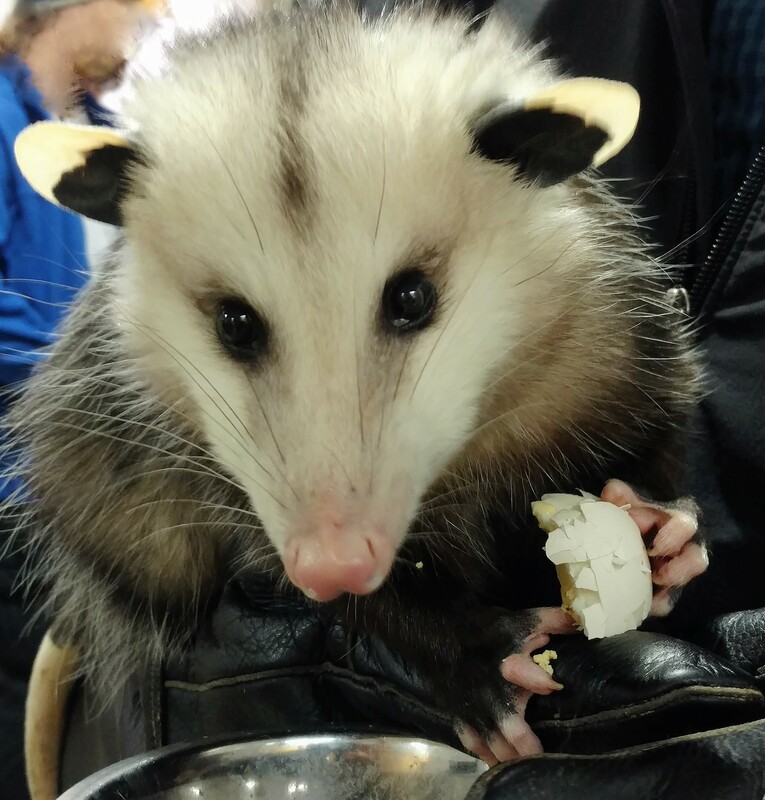 Willow was found as a baby opossum in the summer of 2016 and was kept as an illegal pet. She was given to a permitted wildlife rehabilitator in early 2017; Willow was very friendly, and the rehabilitator attempted to give Willow time to “wild up” again in hopes of releasing her. After many months of assessment, it was determined that Willow was simply too friendly for release. 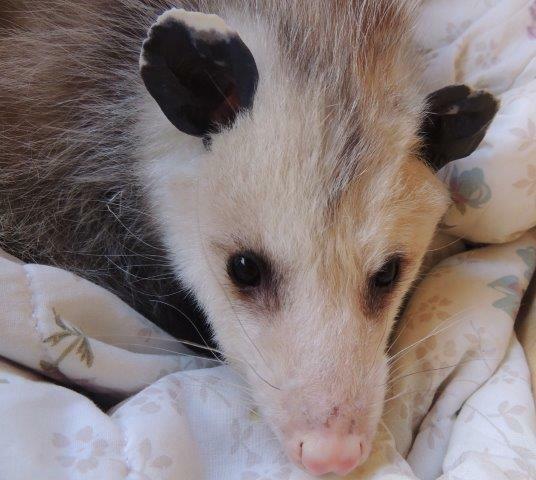 Willow also has chronic sinus issues, which the Wildlife Center team continues to assess and diagnose. She joined the Wildlife Center team of education ambassadors in the fall of 2017. Bo and his siblings were found as very young orphaned opossums in the summer of 2016. 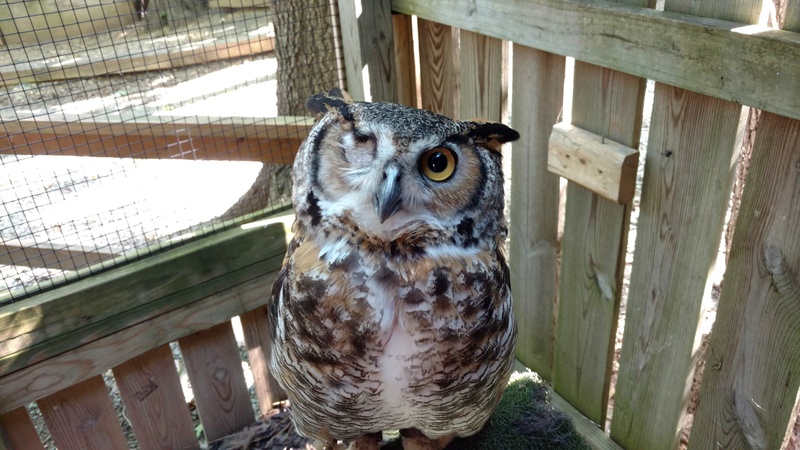 They were cared for by a permitted wildlife rehabilitator; even though Bo was fed a proper diet, he developed metabolic bone disease, which caused his front legs to bow. His siblings grew up normally and were able to be released. Bo's diet was modified and his legs did not worsen, but the permanent bowing caused him to be non-releasable. Bo joined the team in December 2016. On the afternoon of January 27, a citizen in Nelson County found an immature Red-tailed Hawk in his back yard; he suspected that the neighbor’s dog had attacked the bird. The following morning, he transported the hawk to the Center, where it was admitted as patient #19-0062. On the afternoon of January 23, the Wildlife Center received a Black Bear cub that had been burned in a fire. Sadly, within 24 hours, the cub succumbed to her injuries and died. The cub was in a large wood pile on a homeowner's property in Winchester; the brush pile had been present for years and was lit on fire on the morning of January 23. An adult bear was seen running away, then someone heard crying from the burn pile and found two cubs. The cubs were quickly taken to a local veterinary clinic.